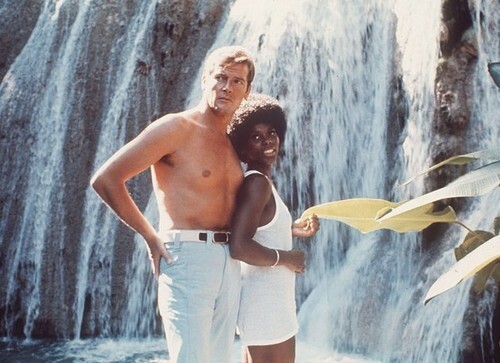 This James Bond photo contains fountain and malaking piraso. There might also be bather, swimming trunks, bathing trunks, tubig, swimming, and swim. Promo litrato For The 1989 Bond Film, "License To Kill"